Chelsea and Newcastle stoppers among leading candidates to replace controversial stopper. 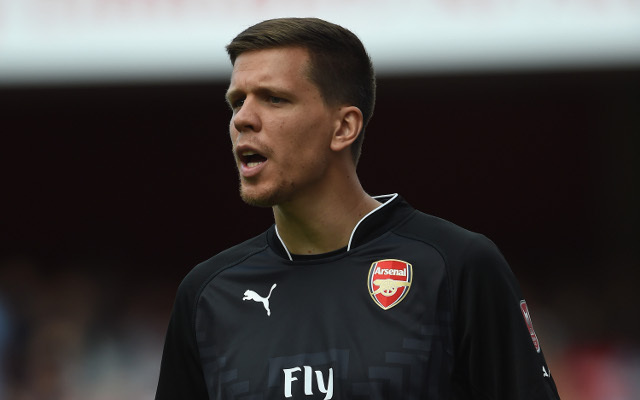 Wojciech Szczesny’s Arsenal career is over – that is the opinion of Jason Burt, who is deputy football correspondent at The Telegraph. The Polish goalkeeper was not included in the lineup for Sunday’s Premier League match against Stoke City. SEE MORE: Arsenal v Stoke City – Premier League Teamsheets Confirmed With Wojciech Szczesny And Mesut Ozil Only On The Bench. He has not played since being caught smoking in the shower following the 2-0 defeat to Southampton on New Year’s Day. Speaking as a panelist on Match of the Day Extra, Burt said: “I think that’s it for Szczesny. “I’d have thought they’ll be looking for a new number one goalkeeper now. “It’s not just about the smoking. There have been a number of opportunities and a number of mistakes make in the last few months. “Accumulatively that has had it’s effect and I think that will be an area that they’ll be looking to strengthen in the summer. “The obvious candidate [to replace Szczesny] is Petr Cech. Whether or not Chelsea would do a deal with Arsenal remains to be seen. Arsenal & Stoke City Combined XI: Four Potters Players Make The Team, Exposing Gunners’ Lack Of Steel.